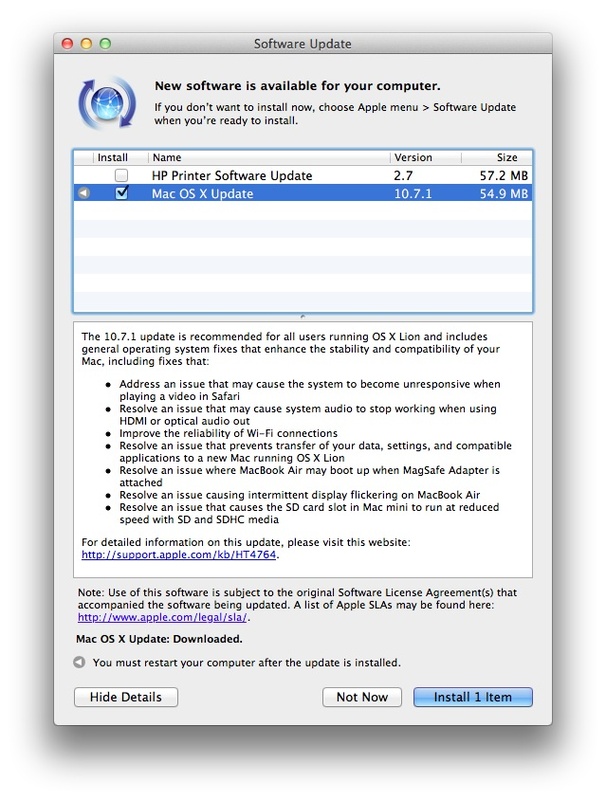 The first update to Apple’s (s AAPL) new Mac OS X 10.7 Lion operating system is out now, and in addition to the regular update, there’s a separate version just for owners of a MacBook Air or Mac mini loaded with Lion. If you have Lion, but not on one either the Mac mini or the Air, you’ll get a separate update that only pertains to the first four issues listed above. And general bugs, and the crashing Finder, and searching in sharing folders?